Get organized your way with 5-Piece Bamboo Storage Box Drawer Organizer Set with 3 Compartment Organizer Box from Seville Classics. 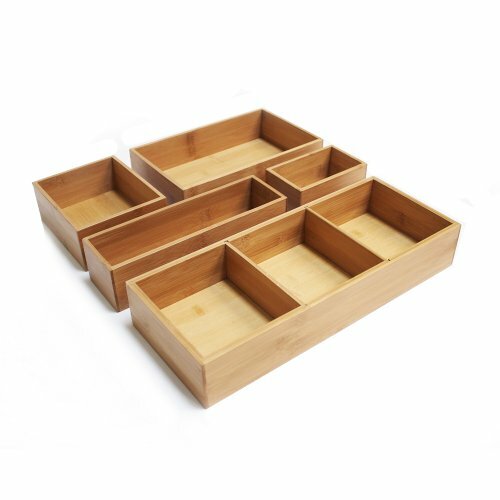 Each box is constructed from all 100% bamboo--a natural, renewable and durable alternative to hardwood decorative boxes and drawer organizers. Boxes feature high-quality joints and are a delight to see and touch.